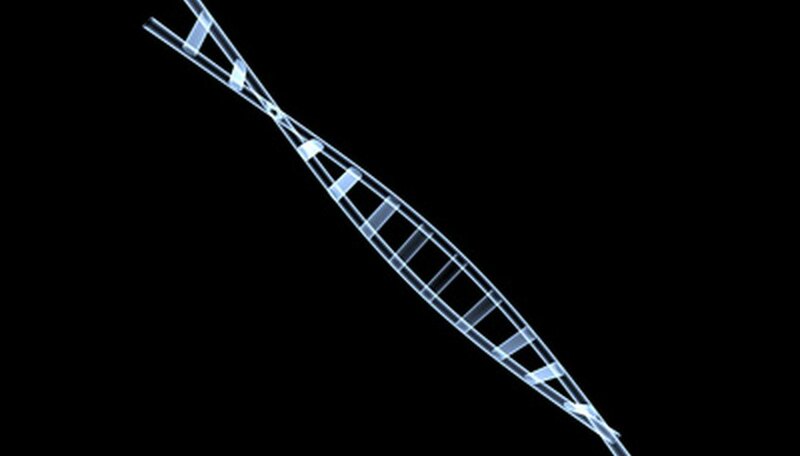 Deoxyribonucleic acid is what makes each of us what we are. Its structure is what is known as a double helix, or a twisted ladder. It's usually represented as half red and half blue, or as having alternating colors within each side of the ladder structure. DNA and its make-up is often the subject of science fair projects. This structure can be created in 3D using some ordinary household items. Creating a DNA model from candy and toothpicks can be a way to represent the building blocks of the human body. After your presentation of the model, you can share the spoils with your guests. Licorice is readily available in the colors needed to build a multicolored DNA structure. The long strips can be cut to size to represent the different sections and will easily attach to each other by poking toothpicks into the ends. Minimarshmellows can be used in the same fashion. If you cannot find the right colors, you can use food coloring to dye the spongy treat. Rectangular hard candy can also be used. Slightly melt the hard candy with low heat until it becomes very sticky. Press the ends of the candy lengthwise together to form the strips, and then stick pieces in between sideways to connect the strips. If you are opting to build a large model, straws offer strength and flexibility. Drinking straws can be slid together to form the twisted ladder. Straws are available in colors, or plain white straws can be spray painted into the needed varieties. Cut the items into the appropriate lengths for the size of your project and use a stapler to attach the center strips of the DNA. Avoid buying the bendable varieties. These cost more and the flexible area is not usable in the project. The use of toothpicks and glue is an old concept in model building. Toothpicks are available in colors from your local craft store and some grocery outlets. If they are not readily available in the right colors, consider dying or painting them. Choose colored glue as well. If you cannot find colored glue, color your own by stirring in a couple of drops of food coloring in the necessary colors. Building a model from toothpicks and glue can be time consuming. Holding each toothpick in place until the glue dries is often tiring, but the payoff will be in the recognized effort of the project. Johns, Sidney. "Cool Ideas for a 3D Model of DNA." Sciencing, https://sciencing.com/cool-ideas-3d-model-dna-6326347.html. 24 April 2017.